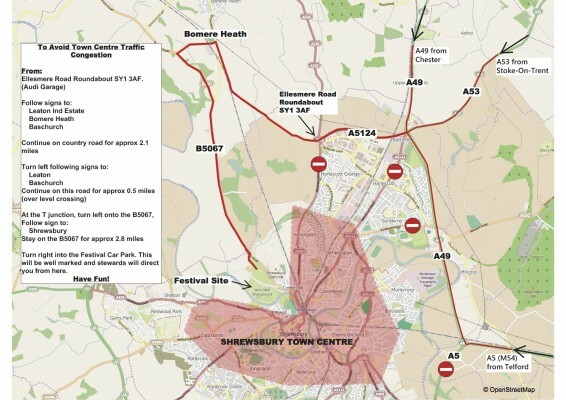 We’ve been working with Shropshire Council to improve your journey to the festival and it will signpost an alternative route from the M54/A5 approach at Ellesmere Road that will hopefully make your journey on to the site an easier one. Please trust the signs – your SatNav will probably want to take you down the main road into town which can get quite congested. This map illustrates the alternative route – it’s not as long as it looks and brings you out on the Berwick Road approach into Shrewsbury. You’ll be able to access ALL camping areas from 07:00 on Friday 24 August. Everyone arriving before 10:00 will come in through gate 11 off Berwick Road – stewards will be on hand to direct you. No traffic permitted down Gravel Hill Lane until 10:00. Camping is available from Friday 07:00-Tuesday 12:00. For those of you who bring bicycles, thank you, it helps keep cars off the road and reduces our carbon footprint. There are no specific areas where you can leave bicycles but one side of the festival perimeter is a chain link fence which bicycles can be chained to. For details of Bus routes and times within the county, please call the Shropshire Traveline on 0870 6082608 or contact a Tourist Information Centre. West Midlands Showground, Berwick Road, Shrewsbury, SY1 2PF. By Car: Shrewsbury is easily accessible and is linked to the motorway by the A5 and M54. By Train: Shrewsbury’s railway station is right in the centre of town, by the Castle, the shops and historic buildings. 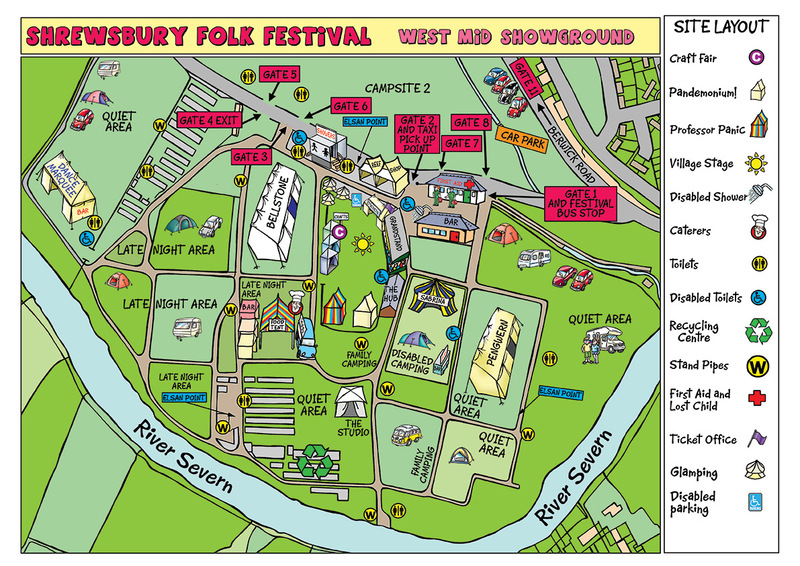 For detailed Shrewsbury Showground directions please download the festival maps below. Car sharing is a great way to save money if you are driving or to get to the festival on the cheap if you need a lift. We work with a number of lift/car sharing websites to help you share your journey. You can use www.gocarshare.com – add your journey here or Liftshare to try and find a lift or share your journey.